When it comes to Vancouver and Seattle, it’s not just clouds, coffee, and cruise ships that they have in spades. There’s tech. A year ago, groups on both sides of the border gathered in Vancouver to explore the idea of a connected corridor between BC and Washington State, dubbing it ‘Cascadia.’ That conference is set to happen again this week, so what does it mean and why should you care? More than 100,000 people are working in tech in BC today – basically the entire population of Delta – across almost 10,000 companies, and it’s growing. The industry promotes environment sustainability, diversity, and a shift from natural resources to human potential. And, it’s pretty cool. Paired with Seattle’s equally impressive numbers and we’ve got the makings of a digital economy. Vancouver excels in 3D development, from video games, animation, and special effects to augmented, mixed, and virtual reality. 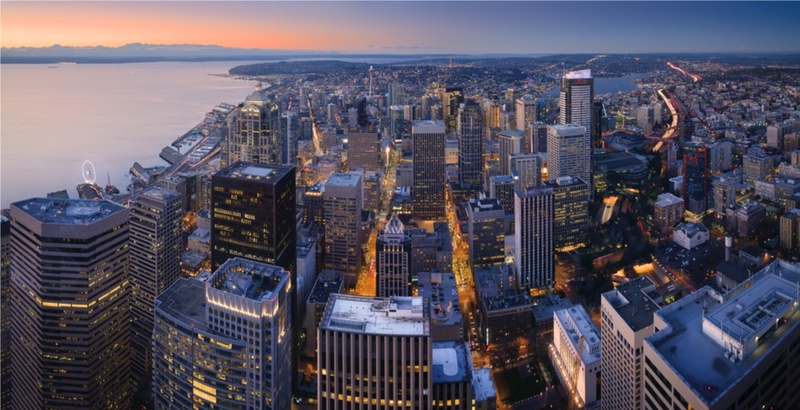 Seattle leads the way in big data and computing power. Slam those together and the Pacific Northwest stands to be a global leader – meaning jobs. 1. Build virtual trucks in a real-world Holodeck. Seriously. It exists. Finger Food Studios in Port Coquitlam has been redesigning heavy-duty trucks for Washington manufacturer, Paccar. Your office? A 26,000 square-foot building that’s empty, until you put on a HoloLens. 2. Help students explore animal anatomy without ever wielding a scalpel. Victoria-based, LlamaZoo, has developed a virtual dissection platform that’s already being used by leading international institutions. 3. Learn how to speak Vulkan because, obviously. Okay fine, it’s spelled differently and is actually a new generation graphics and compute API, but it could land you a job at Microsoft in Vancouver and would look pretty cool on a resume. Think about where you could go in tech, explore programs offered by universities, colleges, industry academies, and check out events. Watch for more on Cascadia from us this week.